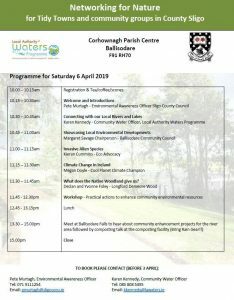 Sligo Tidy Towns shared a post. You never know who you'll meet when out and about on a litter pick. Had the pleasure of meeting Jonathan Cassidy today at Doorly Park. Extremely talented artist. Be sure to check out his website to see some of his beautiful paintings of #Sligo. 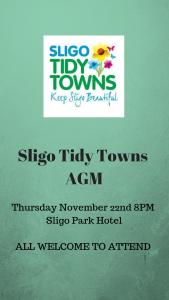 Sligo Tidy Towns is organised and run by a group of unpaid volunteers who are passionate and proud of the place they live in. Our aim in 2018 is to continue to help enhance the image of Sligo as a place to live in, work in and visit. © 2018 Sligo Tidy Towns. All Rights Reserved.